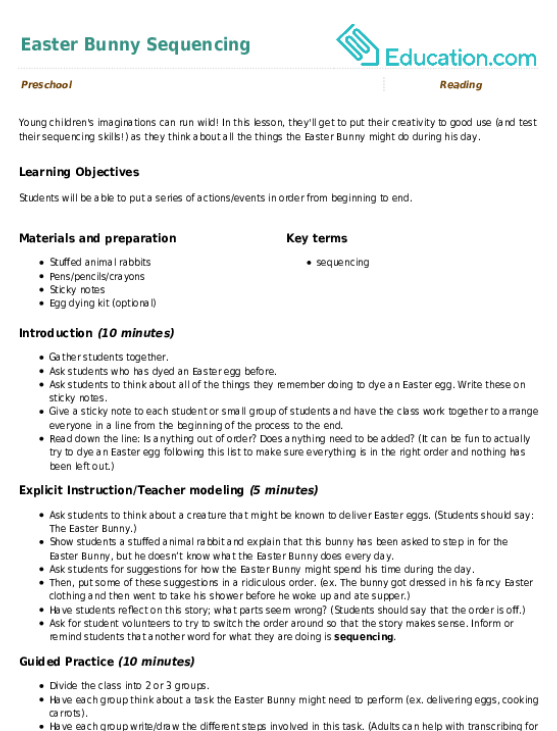 Help the Easter Bunny collect all of his eggs as he makes his way through the maze. Kids will hone fine motor skills as they trace, and build simple logic skills as they find the right path to collect the eggs. This Easter maze is a perfect puzzle for entertainment and learning over the holiday. Make this colorful maze a part of Easter activities! Get in gear for Easter with this letter maze that teaches the alphabet and challenges kids at the same time. as they think about all the things the Easter Bunny might do during his day. 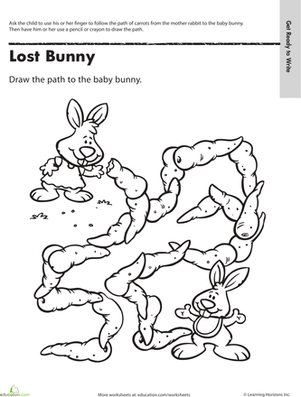 Give your little bunnies a fun coloring project this Easter! Decorate the house with these cute stand-up drawings. 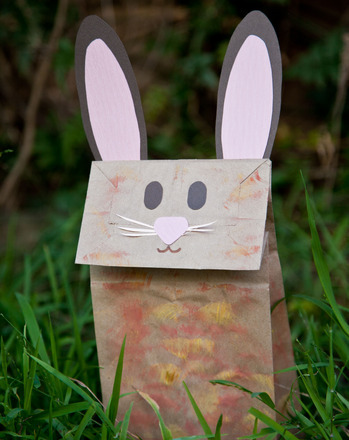 Jump into pretend play this Easter with a classic preschool arts and crafts activity: make a bunny paper bag puppet!